T he tornado that killed dozens of people on the night of 31 March highlighted Nepal’s vulnerability to disasters. It proved that Nepal has to be prepared not just for the deadly calamities we know about like earthquakes, floods and landslides, but also rare ones like tornadoes. Nepal is a disaster-prone country, Kathmandu is number one among the top ten cities in the world most vulnerable to a catastrophic earthquake. The topography, high population density, vigorous monsoons, and underdevelopment make Nepal vulnerable to multiple disasters. All these dangers are exacerbated and can combine due to climate change – for example the next megaquake could cause glacial lakes swollen by global warming to burst simultaneously and unleash catastrophic floods downstream. Nepal was preparing to be prepared for earthquakes, when 25 April 2015 happened. The National Emergency Operation Centre (NEOC) with its seismic resistant building had just been set up inside Singha Darbar, with the task of being a communication hub and relief coordination centre after a disaster. The Centre’s website now lists real-time information of water levels in rivers, information that is vital during the monsoon. It is now setting up a comprehensive Disaster Information Management System (DIMS) for the 49 types of potential natural calamities that Nepal faces. A beta version of the system is expected to be ready in mid-April, but detection and prediction of disasters will still be difficult. Though the river water level data can provide early warning of potential floods, and the Department of Hydrology and Meteorology uses social media to disseminate its forecasts of extreme weather events, there are still problems with accuracy and urgency. For example, a tornado of the type that devastated villages in Bara and Parsa this week is not even in the list of 49 potential disasters that Nepal should be prepared for. The Bara experience has also shown that Nepal is not prepared for the immediate aftermath of disasters either. Manish Jha of Facts Research & Analytics who was involved in the emergency response this week says the priorities on the ground do not necessarily match the response. The Bara tornado was the first major calamity to strike Nepal after federalism, and it has become a test case on how political devolution can indeed be more prompt and responsive after a disaster strikes. Province 2 officials had mobilised local rescue at Ground Zero almost immediately, Chief Minister Lalbabu Raut relocated to Birganj to coordinate relief. Province 3 donated Rs10 million to Province 2. However, locals were critical of VIPs rushing south in helicopters from Kathmandu with token relief and competing to upload selfies of handovers. There is a daily traffic jam on the Patlaiya-Birganj road because of the number of cars from all over the country bringing relief material to the worst-affected villages, already crowded with gawkers. Such activities have deprived local governments of the opportunity to develop their own response capacity, and raised concerns of mismanagement of funds and resources. Token relief measures take the focus away from long-term disaster management planning, necessary in a country going through rapid infrastructure development. Disasters may be natural, but much of its fatal impact is manmade. For example, forests reduce the speed and impact of violent storms, boulder mining on rivers increases the chances of destructive floods, poor construction methods make houses prone to collapse, and population density increases the numbers of people at risk. 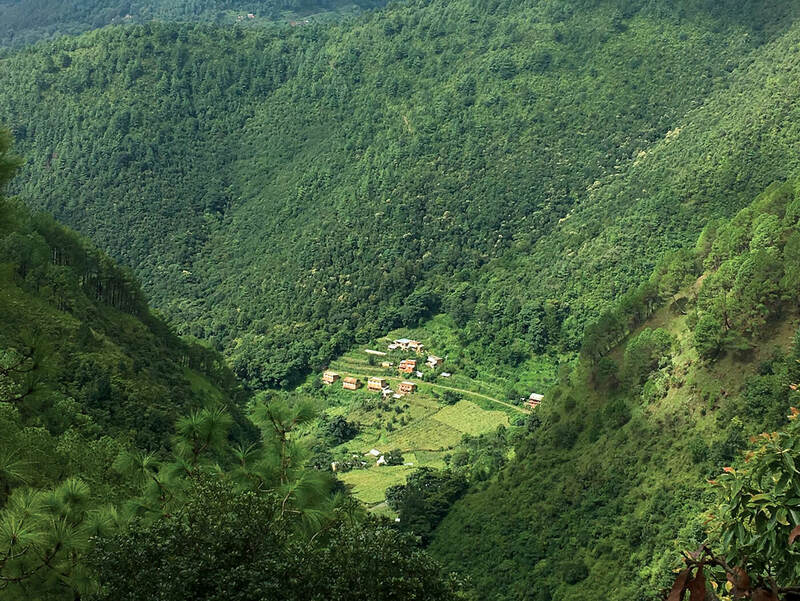 For example, Province 2 with 7% of Nepal’s land has 20% of its population. The experiences of other South Asian countries have shown that disasters may not be avoidable, but their impact can be reduced with planning and preparedness. 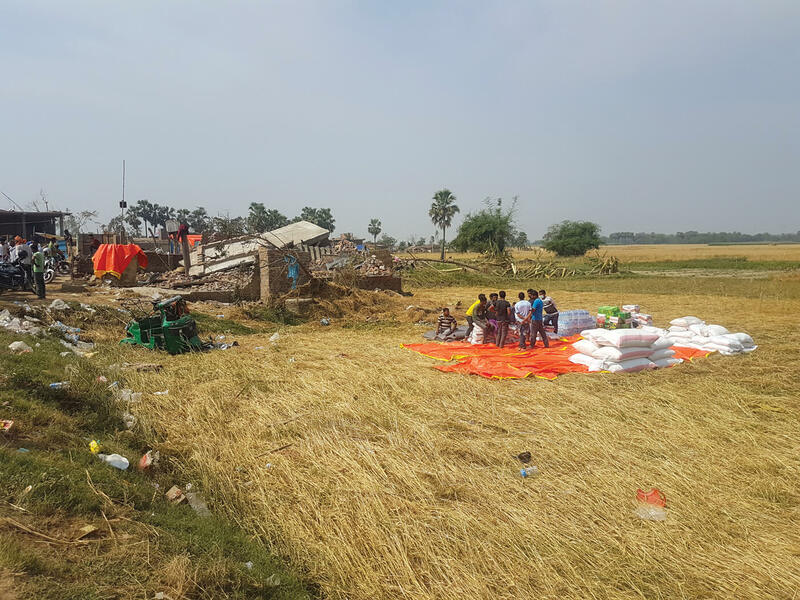 With a history of violent typhoons, Bangladesh and the Indian state of Odisha have invested in shelters, reducing the death toll from cyclones by more than 90%. Four years after the earthquake, Nepal appears not to have learnt any lessons. 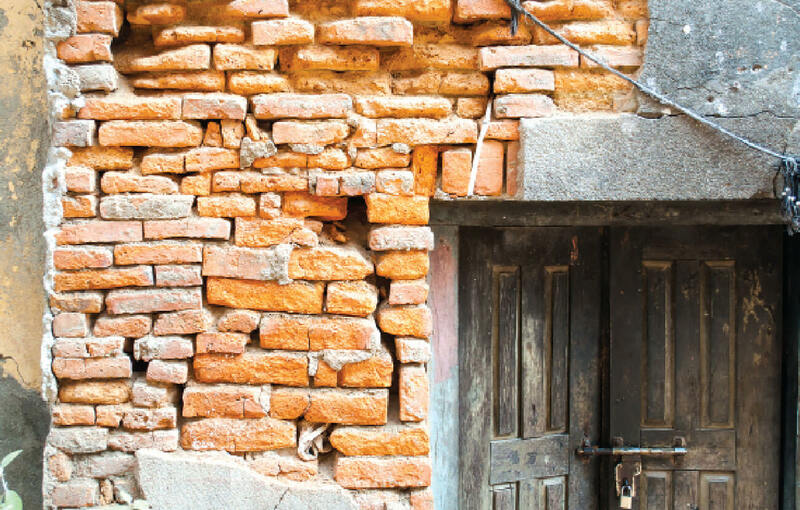 Houses that ignore zoning and seismic guidelines have started coming up in Kathmandu and most urban areas. NEOC has identified only 83 remaining open spaces in Kathmandu safe for evacuation in a future earthquake. Four years on, experts say the focus for earthquake preparedness should now shift nationwide and not just be limited to the 14 districts around Kathmandu affected in 2015. Public buildings need to be retrofitted, homes must require seismic resistant designs, there has to pre-positioned digging equipment and shelter material in open spaces, and there has to be local response strategies. The Disaster Risk Reduction and Management (DRRM) Act was passed in September 2017, replacing the Natural Calamity Relief Act of 1982. The new Act provides for a National Disaster Risk Reduction and Management Council to oversee the management of all kinds of disasters. In the absence of such an Act, the National Reconstruction Authority (NRA) was formed in 2015 to oversee only the aftermath of that year’s earthquakes. However, more than one year after the DRRM Act was passed, the response to disasters like the recent tornado is still scattered, since the National Disaster Risk Reduction and Management Council still does not exist. “The Act provides for a multi-tier institution with a federal body and branches at the province, district, and local levels. It also provides for disaster management funds at every level. 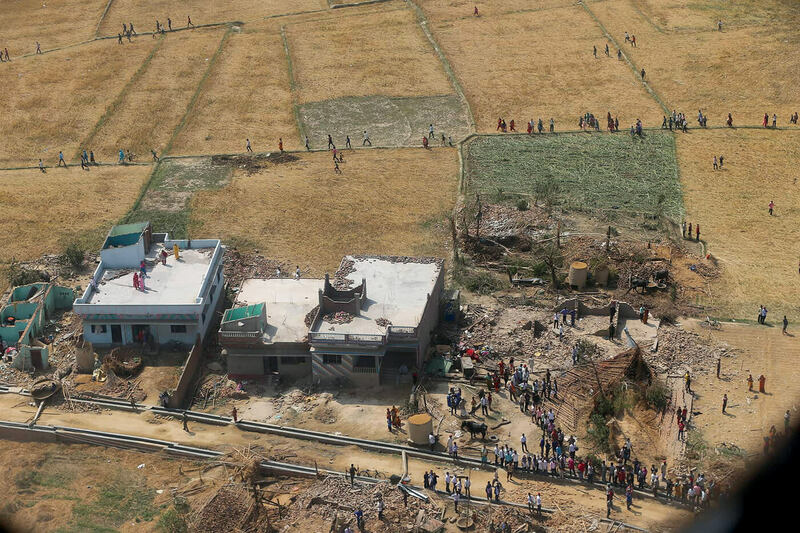 The sole authority for managing disasters lies with the local level, but higher levels can intervene if the local level does not have enough resources to manage it,” says Bansi Acharya, head of the Disaster Study and Research Section at the Ministry of Home Affairs. The DRRM Act has a comprehensive approach to disaster, in that it addresses not just rescue and relief but also recovery and reconstruction. It also provides for risk reduction, preparedness, management, and mainstreaming of the DRRM in development. In other words, disaster management would not be limited to responding to disasters, but would include year-round actions to prevent them. All of these were missing in the Natural Calamity Relief Act. As such, the Act provides opportunities for new ways to handle disasters in a federal system. “Local level authorities often have the best understanding of the needs on the ground, but they are also very quickly overwhelmed. A federal disaster management system needs to maximize local level knowledge while providing flexible layers of support and resources from higher levels of government,” says Santosh Gyawali, Senior Development Program Specialist at the Disaster Risk Reduction Reconstruction and Resilience Office of USAID Nepal.